We sincerely apologize, but no pets are accepted per our Association rules and regulations. 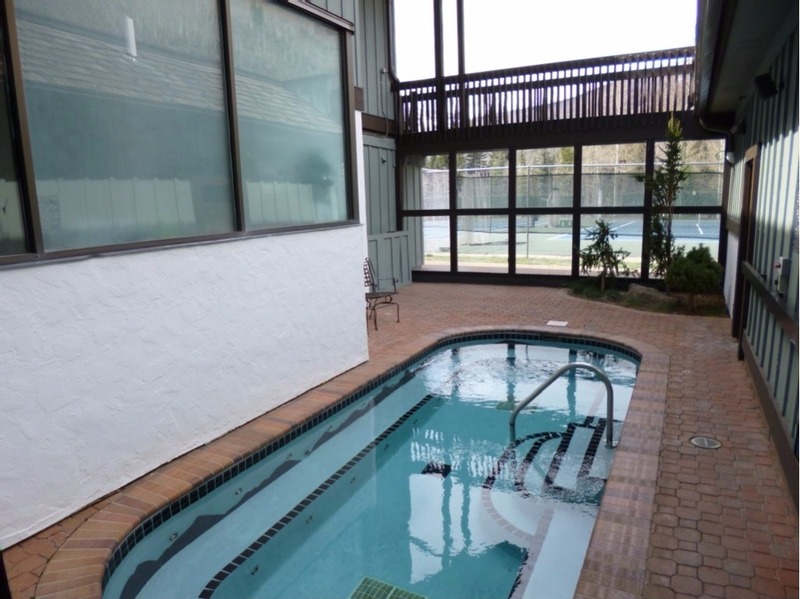 NOTE: This condo is being rented directly from the owner, not through the Resort. For further information, please read full listing below. 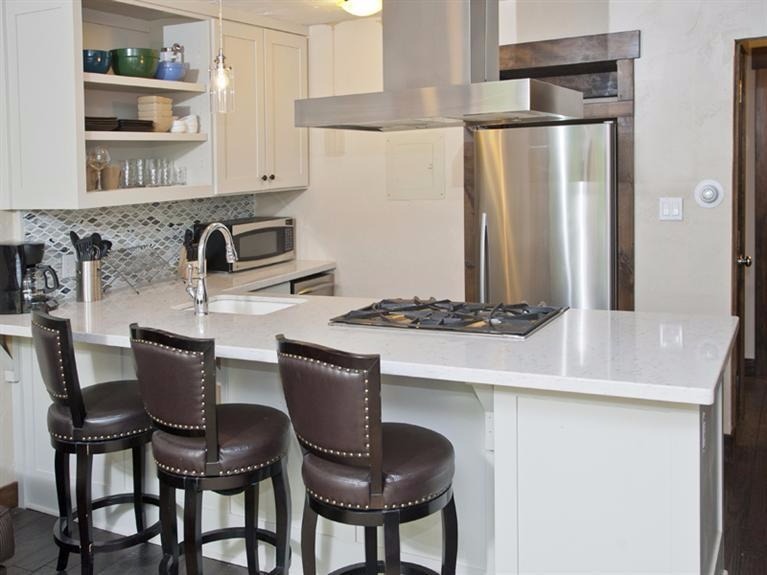 Our peaceful and private 1 bedroom/1 bath condo is a great place for all your family vacation needs! 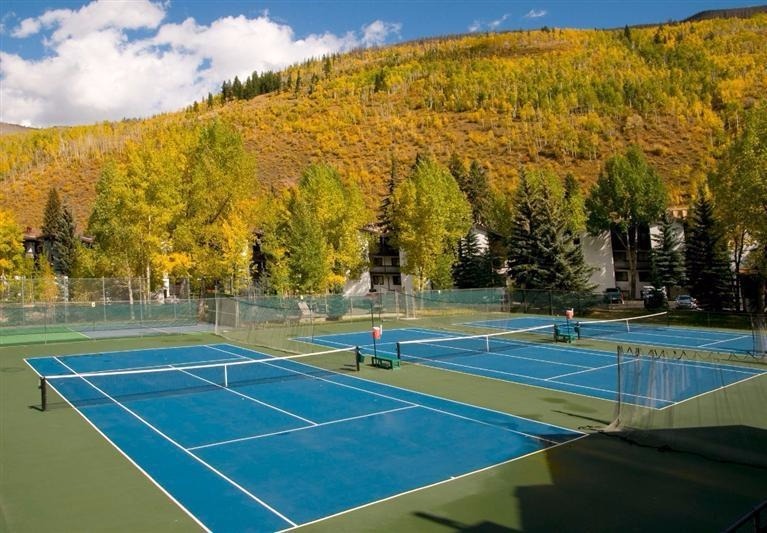 It is located in the wonderful Vail Racquet Club in East Vail. 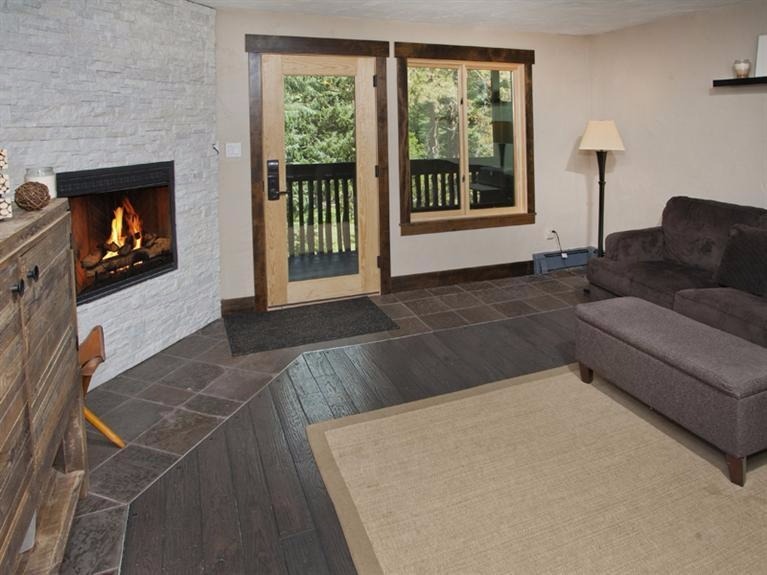 Our cozy condo is perfect for your mountain vacation! And, the wonderful sights and sounds of Gore Creek are literally right outside your front door. Our condo has been remodeled in a contemporary mountain decor. 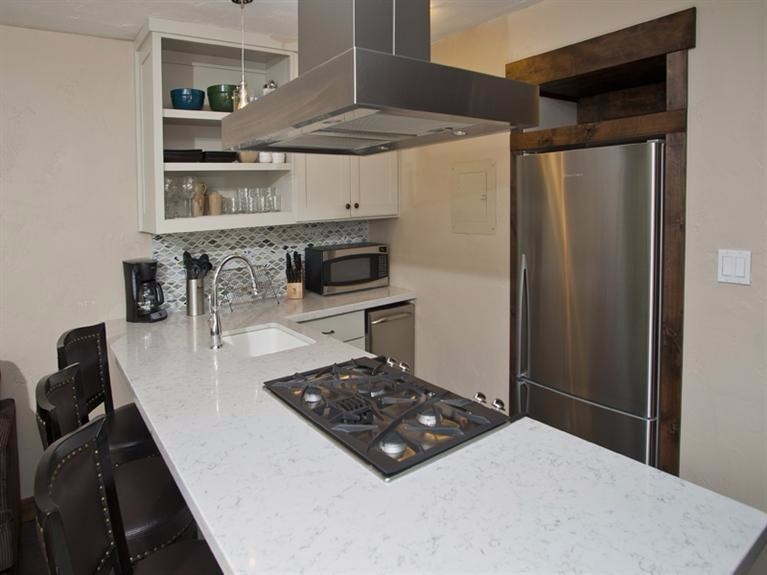 The kitchen features quartz counter-tops, stainless steel appliances and custom wood cabinetry. It has everything for your cooking needs (pots, pans, utensils, dishes, etc. ), except the food, however, we do stock staple items for your convenience (coffee, tea, sugar, spices, etc.). 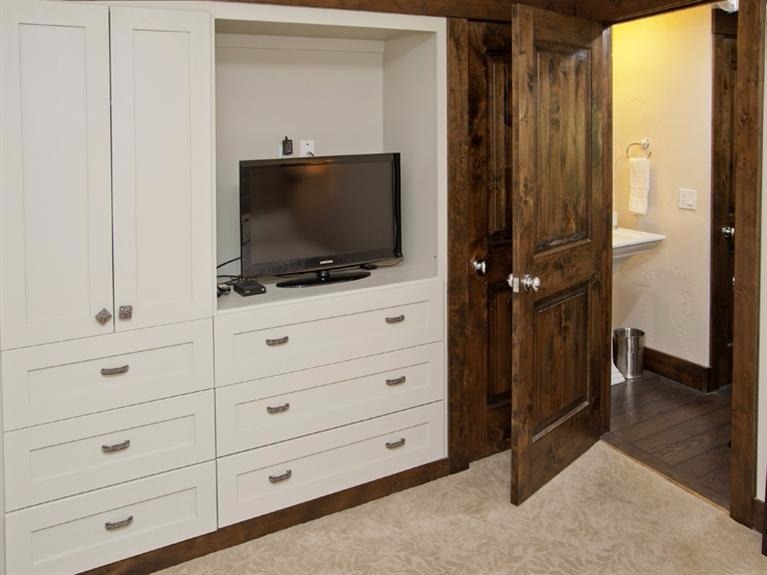 The living room area features black walnut hardwood flooring, a sleeper sofa with a memory foam mattress, 42-inch TV, blu ray player and cable. 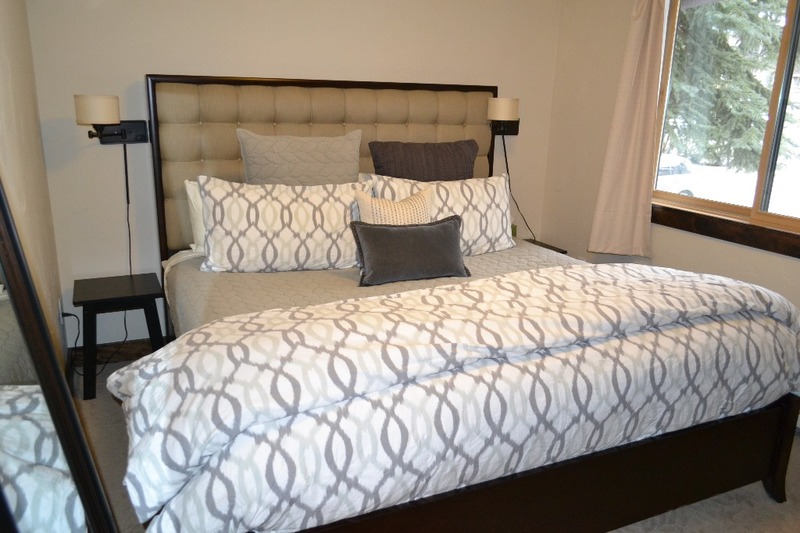 The bedroom features a king size bed and a 32-inch TV. 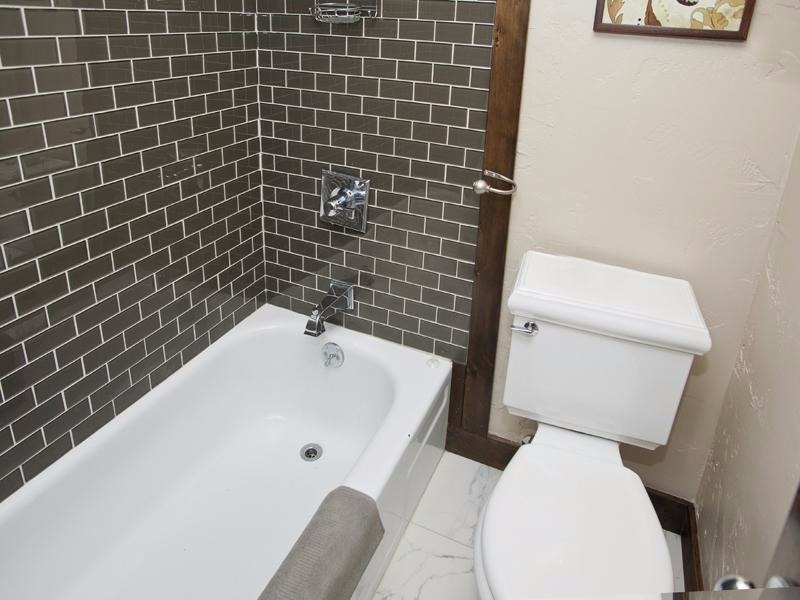 The condo also has wireless internet access for your convenience. We do not have a washer/dryer inside our condo, however, our condo building has a laundry room right under our condo with 3 washers and 3 dryers. 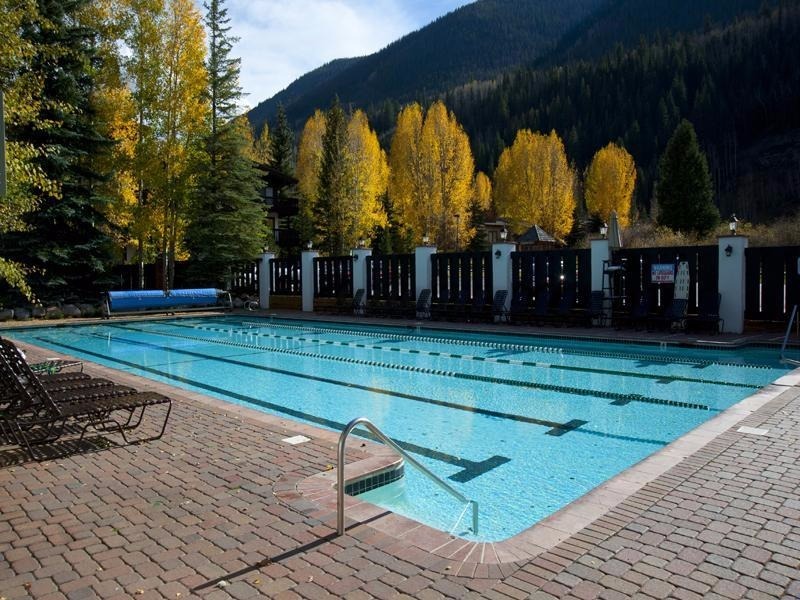 Vail Racquet Club has a heated 25 meter pool, hot tubs, sauna and steam room, state-of-the-art gym and numerous fitness classes and tennis courts. There is a fee to use these amenities (See information below). 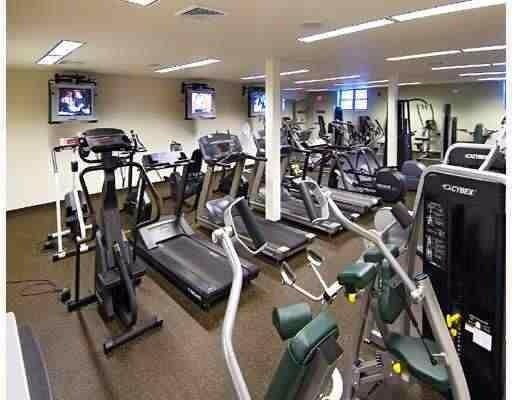 Massages and personal training are available for a fee as well. 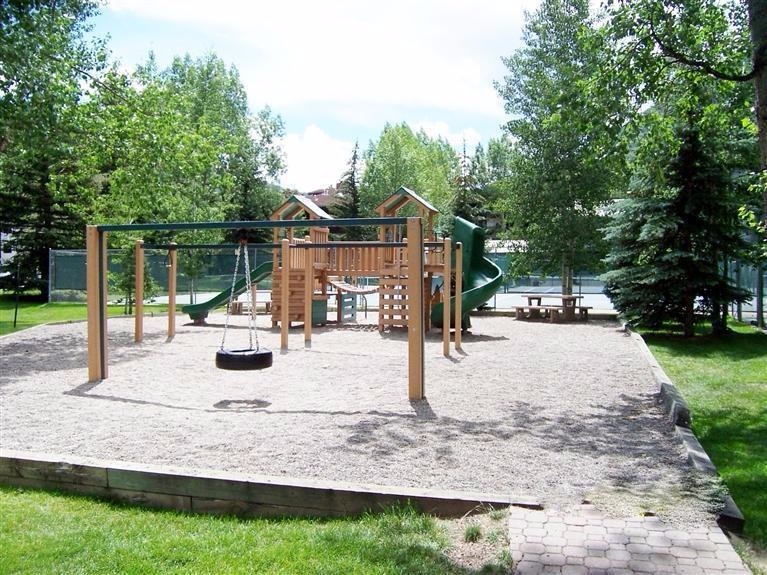 Vail Racquet Club has its own kid's playground on site, however, there is also a very large park right around the corner that has a picnic area and a wonderful kids playground. Dinner is available nightly at Blu's in the Vail Racquet Club main building, and breakfast is also served on the weekends seasonally. 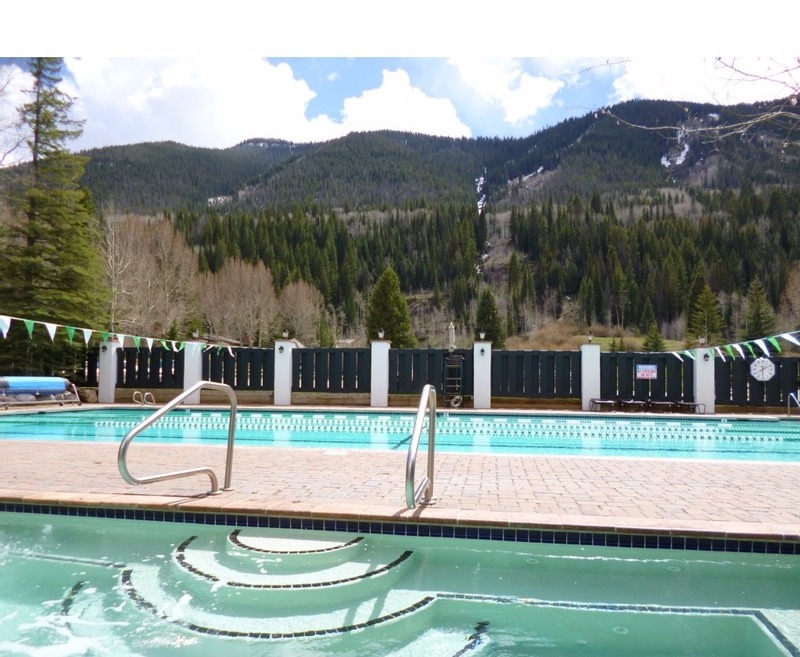 Vail Mountain is just a few minutes away from us. A guest is more than welcome to have a car, however, it is not required. 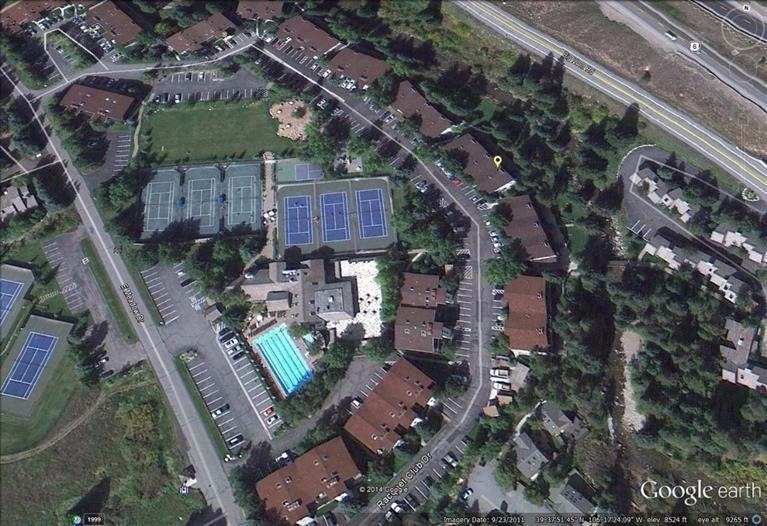 The Town of Vail has a free shuttle system which stops right in front of the Main Building at Vail Racquet Club. The walk to the shuttle stop is less than a 5 minute walk from the condo. The shuttle generally runs every 15 minutes in the winter and every 30 minutes to an hour in the summer, but the schedule can vary by season. The bus drops you off at the Vail Transportation Center in the heart of Vail Village. 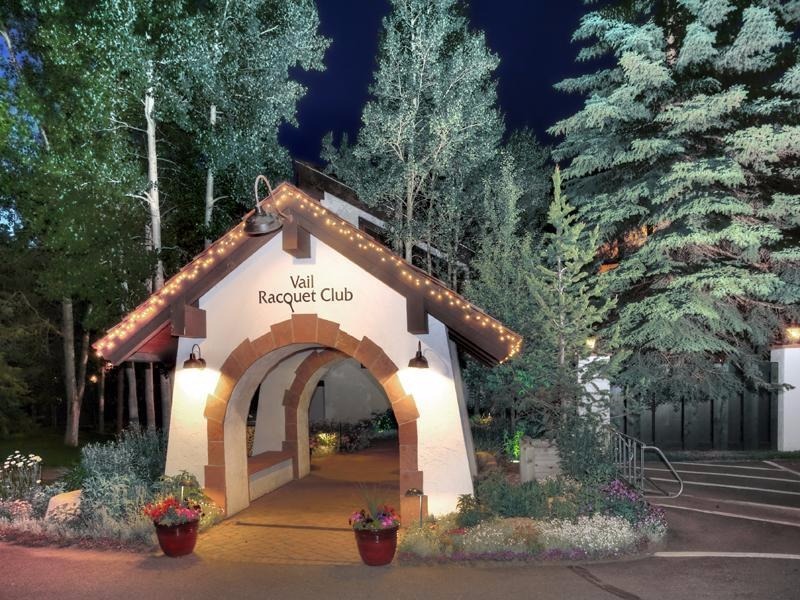 Once at the Vail Transportation Center it’s a short walk to the slopes, shopping and dining. There are also Eagle County buses (which include transportation from Vail to Beaver Creek). These buses leave from the Vail Village Transportation Center, and the Vail Village Transportation Center can give you more information. For guests who have a car, our condo complex has free parking. We have parking passes for your use during your stay. 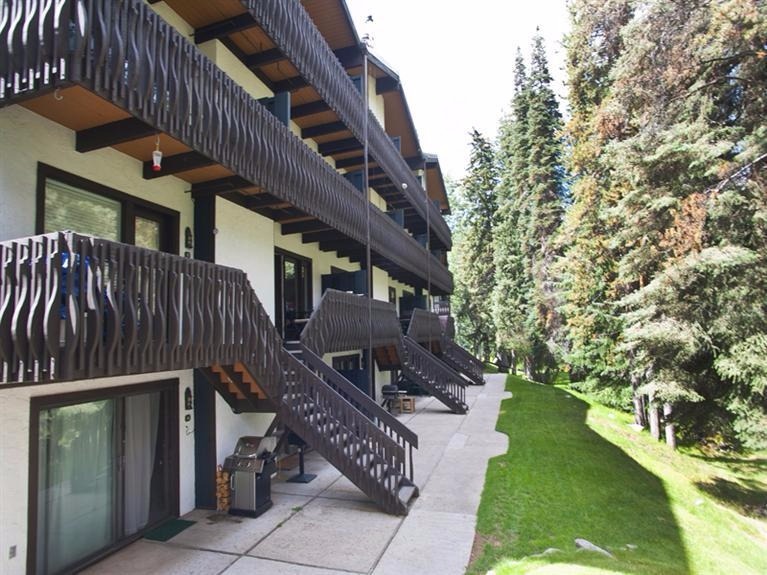 The ride into the Village by car is less than 10 minutes and there is a parking garage in the same building as the Vail Transportation Center with a short walk to the Gondola. 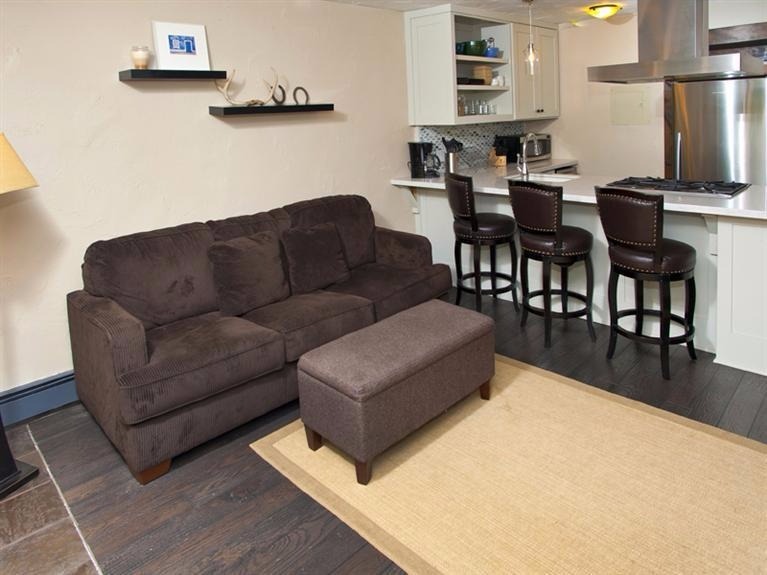 Our condo rental provides you with full access to our 1 bedroom/1 bath condo. However, due to the fact that the rental is through the owner (myself), Resort services are limited. Services including the Front Desk, Lobby and Concierge Amenities, Housekeeping, Maintenance, Key Handling, On-call Assistance, etc. are not available during your stay. For any of these services, you contact me (the owner) for assistance. I am available 24 hours a day/7 days a week during your stay. 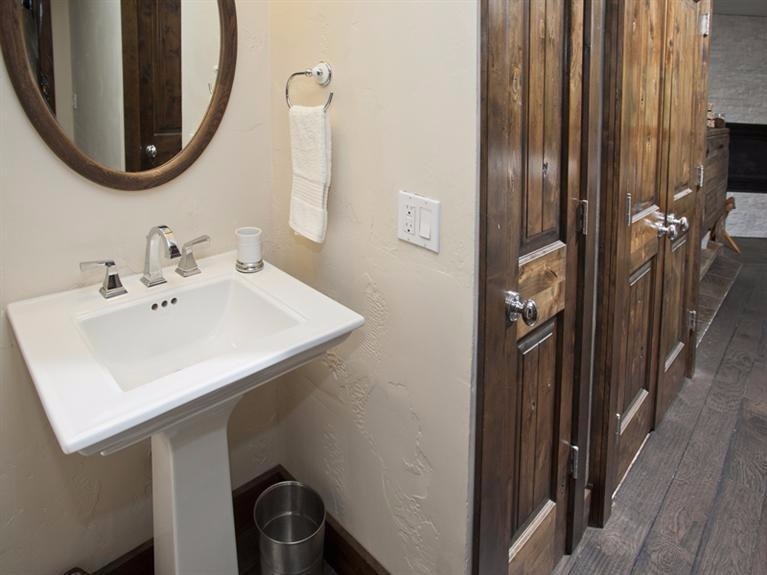 NOTE: During ski season, there is a minimum stay of 4 nights required unless you would like to reserve open nights between reservations where less than 4 nights are available. A minimum number of nights may be required outside of ski season. Inquire with owner. Check-in and check-out times may be flexible. This depends on whether there is another guest checking out on the day of your arrival or checking in on the day of your departure. Inquire with owner on whether flexibility is available. Guests will be required to fill out a guest information form as well as sign a rental agreement which notes Resort and condo rules. East Vail is about 4-5 miles east of Vail Village. The ride to the Village is less than 10 min by car. The area absolutely wonderful as it is a quiet and beautiful setting. 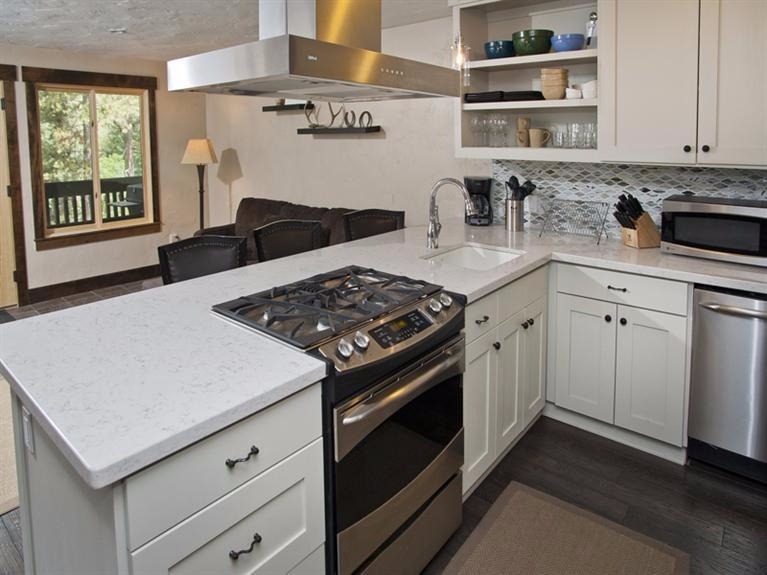 The condo faces Gore Creek and the areas is a pristine alpine setting with waterfalls, hiking trails and on the Vail bike path. 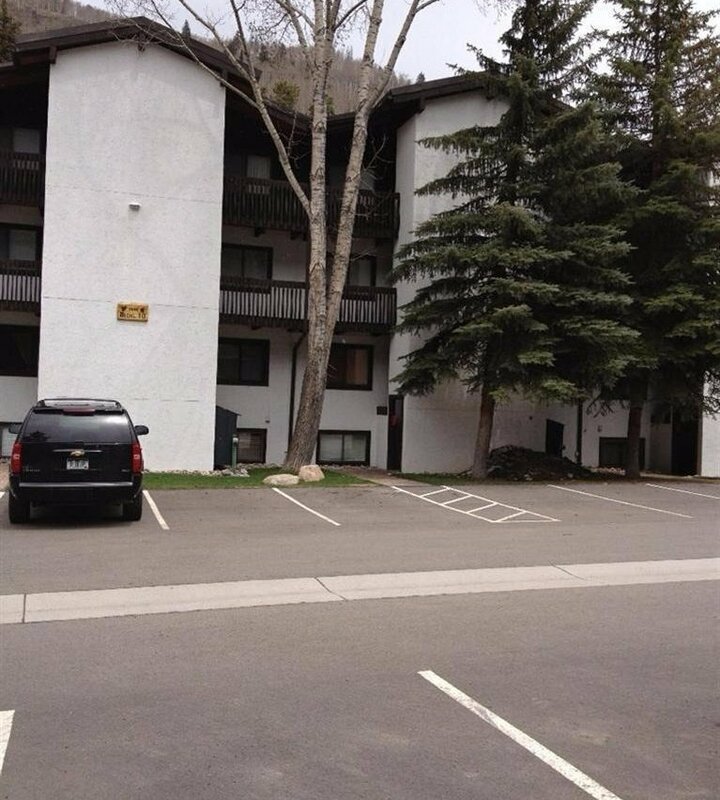 It is also on the free Town of Vail bus route with less than a 5 minute walk to the bus stop. 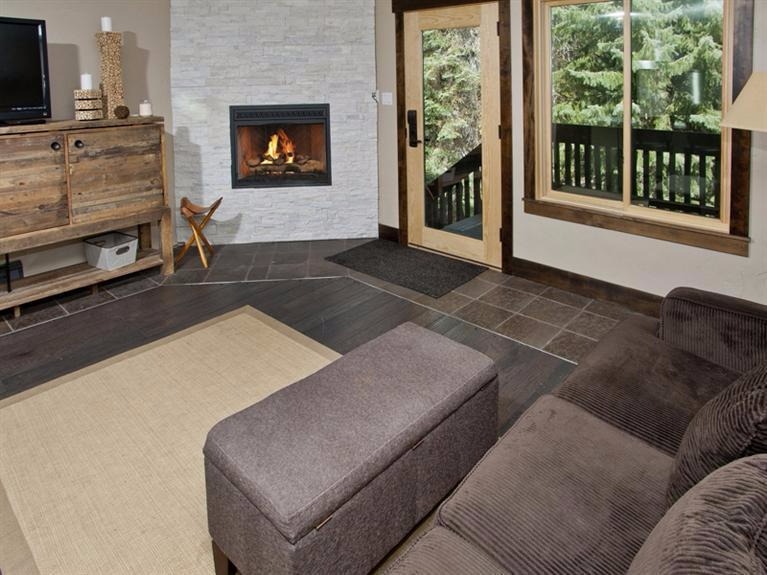 Many locals live in this area due to its convenience and easy access to Vail Mountain. The free bus will take you to the Village and drop you off at the Transportation Center which is a short walk from the Gondola.